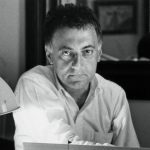 Aldo Rossi was the first Italian architect to win the pritzker prize. This award is awarded annually and rewards a living architect to pay homage to his works as they combine a combination of vision, commitment and talent. In addition to being dedicated to architecture, Aldo Rossi, on request, carried out industrial design works commissioned by medium or large companies. His belief, his design philosophy led him to define him as a playwright of abstraction, who knew how to design and create some of the most intensely poetic design works of his era. His works reflect a rigorous language made up of primary forms and geometries. In addition to being remembered as a great architect, it must also be remembered as a great master of design by creating different objects of domestic use. He arrived in the design world around the eighties and his whole design activity has as its imprint his practice and architectural theory; in fact, his objects can be considered small miniature architectural works. Among the works of industrial design that the architect Aldo Rossi has realized we remember some of them; for example, in the 1983 for the company Molteni created the so-called Theater. Also for the Molteni group we mention the Milano chair (1987), the Paris armchair in the 1989, the "Cartesio" bookcase and the "Consiglio" table. He also created works for the Alessi company; they were the coffee pot, called "La Conica", in the 1984, the kettle "Il Conico", the coffee pot "La Cupola" and finally the clock "Momento".